Jumping in at the deep end, a common phrase that is being used more and more in the modern world, wether in your personal, business or sports life this phrase is being thrown around as the solution to stop all the thinking and procrastinating we all do when faced with big decisions. So what happens when you wake up, check your emails and notice you have an email confirming your ironman entry, you may have thought it was a dream but no something made you pull the trigger and enter, it may have been pressure from like minded friends, a moment of madness or maybe a few too many drinks with friends and bravado got the better of you all!! 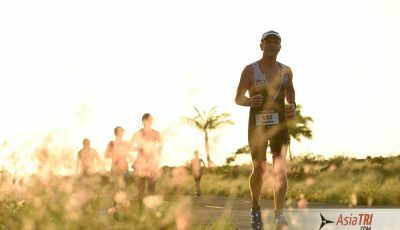 Whatever the reason you now find yourself with the daunting task of preparing to complete an ironman distance event. 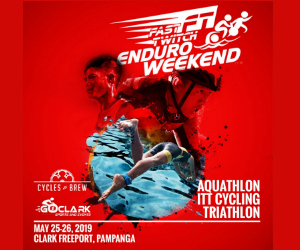 For many of you this is a step from general sports training and you will have no experience with triathlon of any distance, maybe you have run a half marathon or done a bike sportive but putting together swim, bike and run is something completely new. The big question is where do you start, what is the first step? On the positive side with the nature of ironman entry you generally have to sign up for an event 8 months to a year out from an event so you have plenty of time to train and prepare. Lets break the event down into the individual sports to begin with and start with the swim as this is generally the most daunting part of the challenge. Do not just get in the water and start seeing how far you can swim, or follow some generic swim programs – your first step is always technique. Go out and find a good technical swim coach, not a coach to give you swim programs but a coach to actually show you how to swim and build your swim technique from the ground up. Swimming is 90% technique and 10% fitness, if you jump straight into swimming programmed sessions with no technique development you could spend a year thrashing up and down the pool and the result on race day is you would swim exactly the same time as if you had done zero training. Whereas if you spend your time now developing technique not only will you enjoy your swimming a lot more you will swim significantly fast come race day and leave the water fresher for the rest of the event. As an example just an hour spent on technique with a total beginner might see a 10second per 100m improvement for the same effort, when you consider the ironman swim is 3800m then thats a 6 minute improvement without any training! Another thing we have to remember is bad habits are hard to break, if you jump in the pool and try to swim for a few months before seeking help from a coach you will just be spending all your time ingraining bad habits, then when you finally seek help you make it very hard too change. When starting out on your journey to learn to swim a coaches work will be far more effective given a blank canvas and the results will come much faster!! Once technique is developed then its time to start working on fitness – this needs to be step by step over the training year you have available, swimming is foreign to the human body and places a great demand on the central nervous system, if your tired then your swimming will be a struggle so always try to plan your swim in your week when you fresh and awake! Also build gradually, you do not need to start off the bat with 1 hour sessions, 20minutes may be the limit you can hold good technique for when starting so keep to frequent short sessions and slowly increase as your swimming becomes stronger. Now for the biking, this is generally the longest section of the race and the most enjoyable area of training for most athletes. It therefore makes sense that the majority of your training time should be devoted to cycling. 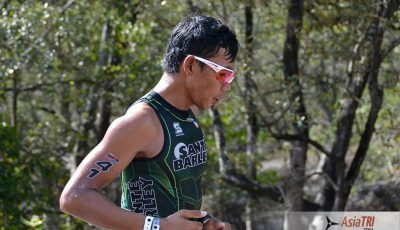 The common mistake i see though is the idea that you have to jump right in and ride as much as possible and try to get near to or ironman distance ride in a very short period of time. A desperate need to reassure ourselves that we can cope with the endurance demand of the event. In reality our bodies are extremely adapted for endurance performance the ability to cover the distance can be trained very quickly and in a lot of cases within a short number of weeks. This can give a false impression of being ready for the demands of the bike on race day and lead to nothing but endurance riding like this, the result being we train there ability to ride long and slow and come race day while we can complete the distance we end up getting off the bike in a slow time and with little energy left for the run. 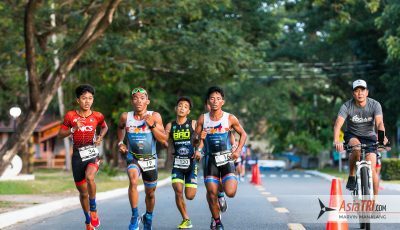 The best plan of attack when starting out your bike training is to get strong, the bike is about strength and more so in the realm of ironman racing than long distance bike events. We have to remember in ironman we have to run a marathon off the bike so we need to make sure we have some reserves once we climb off the bike. The way we do this is to turn the bike from a purely cardio activity into a more strength based activity and save our cardiovascular system for the run. We make biking more strength orientated by lowering the cadence from the fashionable 90+ cadence made popular by Lance Armstrong to a level around 60-80, interestingly enough Lance did get the opportunity to show how ineffective his high cadence cycling style was when he had a brief spell racing triathlon before his doping ban. A fact that makes the continuing stream of triathlon articles promoting riding with a high cadence surprising. So if your just getting into cycling then make sure when you go out you focus on your cadence, keep your cadence in the 60-80 range for easy rides and incorporate some shorter more intense sessions into your week where you push even lower cadence and really work on developing your strength. 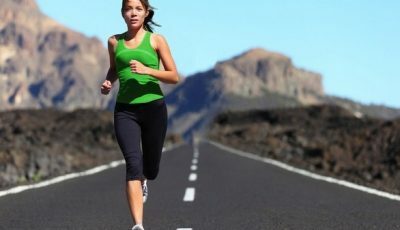 Interval training is something you should be doing from the very start, a lot of people assume interval training is only for the top level athletes but in fact its the quickest and safest way to advance your fitness allowing you to train at a higher intensity and maintain better technique for longer periods of time due to the short rest intervals between efforts. For example if you look to ride 10 miles hard, you will start to struggle to hold power and cadence at the correct level after a few minutes, but if you break the session down to 10×1 mile hard with 2minutes easy riding between – you get the full 10 miles worth of efforts at a much higher intensity, no technique breakdown, and also the session will be mentally less stressful which means you will be able to repeat it more often! The last area you need to think about is the run, as the swim this can be quite daunting as a marathon is a long way and you are now faced with running a marathon after already being on the course competing for more than 6 hours! Firstly you have a lot of time before your event so use it wisely, slowly and progressively build up your run, you need to be looking to train for a half marathon not a marathon. In ironman the run beyond 25-30km is all mental not physical – there is no way to train for that final 10km, many top level athletes have proved this time and time again by attempting to work on their marathon and the only result ever seen is drop in marathon performance not improvement. Start by looking at a 5k, take 2-3 months to get a 5km best time, this will allow a slow build up in endurance and for you to develop good run speed which will put you in a much better place for starting into the more endurance orientated training for a half marathon event down the line. The biggest issue is see with all first timers is confident with the run, the need to prove they can cover the distance. Try to forget about this and trust if you follow the protocol above and you can run a half marathon 2-3 months before your ironman event then you are going to be fine on race day with your marathon! 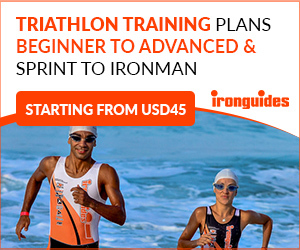 You may be panicking after making that decision to enter your first ironman but follow the outline above and you will not only be ready to tackle the event with confidence but you will be much faster than you ever imagined!